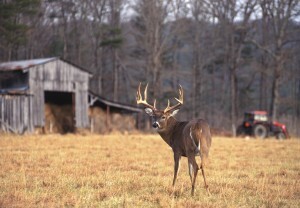 A popular goal for many landowners is to grow large white-tailed deer. Cook Forest Management can certainly help you achieve that goal, but we also believe wildlife management should be designed to benefit all native species, both game and non-game. It all starts with an analysis of the soil which then allows CFM and the landowner to intelligently make decisions regarding habitat. Managing the wildlife is just the final step in producing healthy populations that benefit the entire ecosystem. Take a closer look at the wildlife management services we offer. Creating a wildlife management plan is often in conjunction with a timber management plan. However, the two do not have to be exclusive. Wildlife habitat is usually enhanced through proper timber harvesting and sound forest management. As with a timber management plan, your goals must be stated in order to accomplish the desired outcome. We can work with the state agencies and their associated planning and permitting. If this is not for you, we can just design a plan that is in accordance with state laws and regulations without going through the permitting process. Properties can be manipulated by various means to improve the quality of the habitat for wildlife. Some of these, for example, are the use of fire, herbicide, and various mechanical operations. 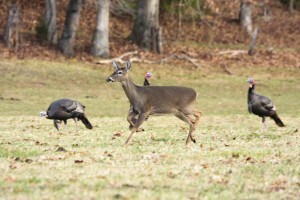 Supplemental feeding for whitetail deer is also used to improve the health of the herd through the use of feeders and food plots. We can also give you recommendations for controlling unwanted species such as pocket gophers, town ants, and feral hogs. 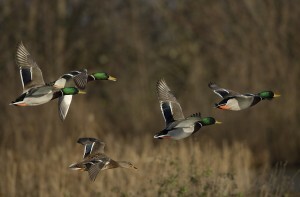 Different properties are often conducive to the creation of waterfowl habitat in the form of marshes, green tree reservoirs, and other impoundments. We have experience in designing these structures to enhance the landowners’ diversity of wildlife on their property. 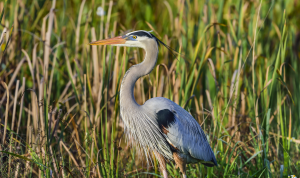 Not only does it attract game species of ducks, but also non-game species such as herons, egrets, and kingfishers. If your property is favorable to quail and dove, we can devise a plan to attract these birds. Because dove are migratory and quail are on the decline, it can prove challenging, but we can help you provide the best habitat possible. We have many years of experience operating a lodge and hunting guide service. If so desired, we can help you establish hunting operations on your property for private use, leasing, or for a professional venture. We are experienced in acquiring MLDP (Managed Lands Deer Permits) and LAMPS (Landowner Assisted Management Permitting System) permits. We can help with the many other permits that can be obtained depending on individual needs of each property such as alligator nuisance permits and Safe Harbor Agreements for endangered species. Sometimes properties will have unique characteristics that favor the existence of rare or unusual species usually found in rare ecosystems. 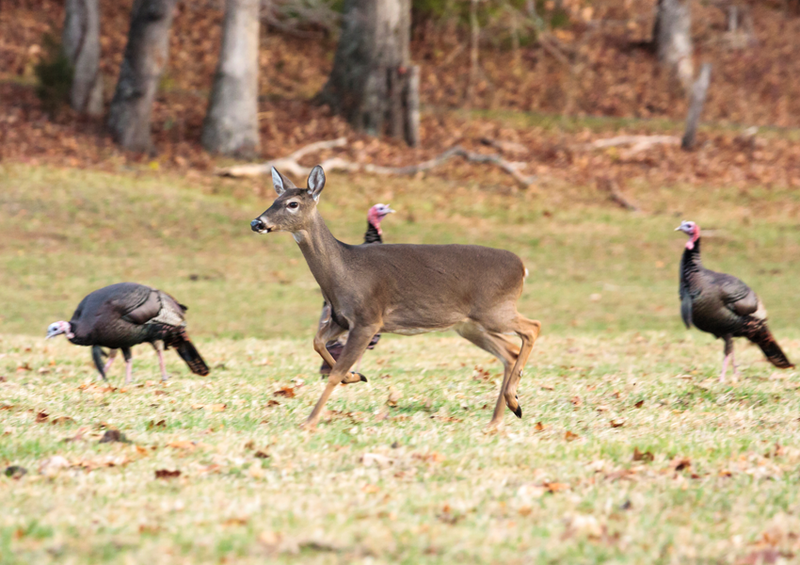 If endangered or threatened species are present on your property, we have the ability to manage for them, and work with state and federal agencies to maximize any benefits that may be available to the landowner through cost-share programs and other assistance. Many landowners can benefit from transferring their agricultural exemption to a wildlife exemption. This requires the preparation of a management plan and other forms filed with the county that could make the management of some properties easier for some landowners. There are also tax breaks available for lands that are in streamside management zones, providing critical habitat for endangered species, and acres that are being reforested. We are available to answer any questions you may have about any of our services offered.